This October, we chase down the North’s best restaurants for fine food and fall color. 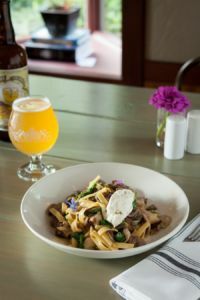 With peeks of West Bay filtering through the towering pines in front, and cherry orchards and gold-leafed hillside vineyards forming a backdrop, Mission Table stands as a temple to good food among the autumn wonders of Old Mission Peninsula. An expansive outdoor patio welcomes al fresco dining on warm October evenings, while indoors, stone, wood and oxidized metal foment an organic vibe that anchors the dining room to its surrounding landscape. In the kitchen, Chef Paul Olson and his culinary team harness the local agri-bounty in the pursuit of artfully rustic plates, like flash-fried cauliflower with garlic aioli and jalapeño vinaigrette or handmade pasta with pork cheeks, lemon ricotta and wild mushrooms. Local lake trout finning earlier along the bay’s deep-water shelves find themselves in the company of ruby beets, farro risotto and pickled garlic scape butter. Farmhouse ales and craft spirits brewed on site dominate the beverage program, alongside the rieslings and cabernet francs from neighboring vineyards. Segue from Sleeping Bear Dunes National Lakeshore and its fiery hardwood hillsides to pecan-crusted rainbow trout with lemon beurre blanc at The Manitou. A fine bottle of Graves paired with grilled lamb and green peppercorn demi-glace accents fall splendor in the Glen Lake environs. 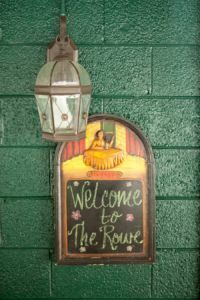 Little Traverse Inn accessorizes eyefuls of autumn blaze with cask-drawn pints, Scotch eggs and perfect fish and chips. 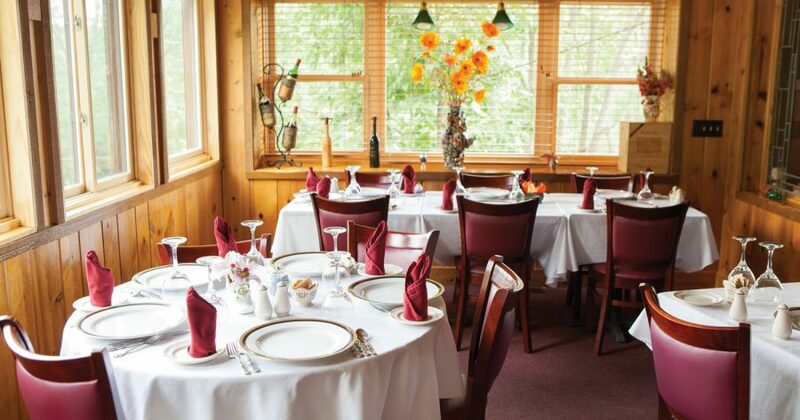 Tour snaky country highways around Torch Lake and end at The Rowe for filet mignon with Roquefort cream and a Rhone Valley trophy from The North’s thickest wine list. 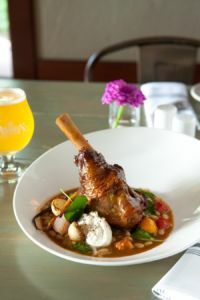 Celebrate the fiery foliage around Little Traverse Bay with oysters, champagne and fragrant lamb Tagine at this hip Petoskey wine bar. 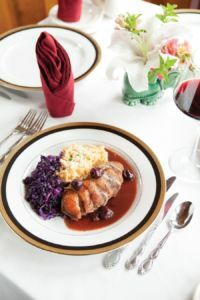 Risotto, veal saltimbocca and a well-shaken martini at this elegant old-school eatery make for a good après-hike reward for an afternoon spent on forest paths in the Little Traverse Conservancy. Stoke your metabolism with a fall paddle along Douglas Lake’s wilderness shoreline, and then repair to the DLB for cabernet and a well-marbled rib-eye.